A good schoolteacher always drummed it into his pupils' heads: do not confuse the literary first person of a novel, a poem or a song with the author himself. A sensible rule, without a doubt, but as with all rules, there are exceptions. Those artists, for instance, who make their own biography the subject of their work, revealing the naked truth about formative experiences in their life. 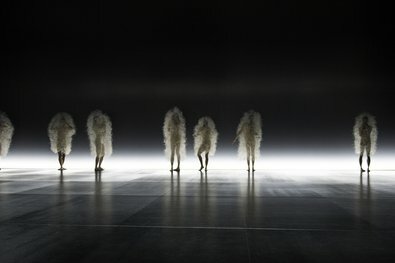 By the same token, the work of American performance artist Laurie Anderson is marked by the moving personal stories she tells about herself: how she inadvertently almost drowned two of her seven siblings as infants; or how at the age of twelve she made a disastrous attempt to impress other children by leaping from the diving board at the local swimming baths and lay motionless in hospital for months afterwards, nearly ending up in a wheelchair. Her estranged relationship with her mother likewise forms a central theme in her music. 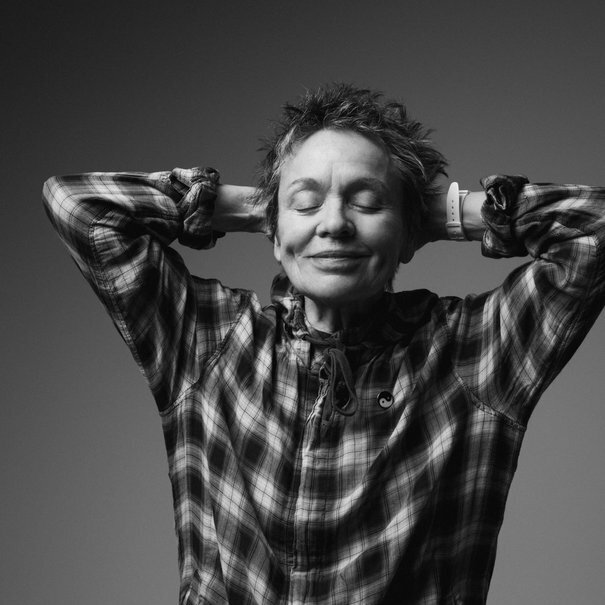 Read the complete article on Laurie Anderson in the Elbphilharmonie Magazine's »brücken« (Bridges) issue (German only). 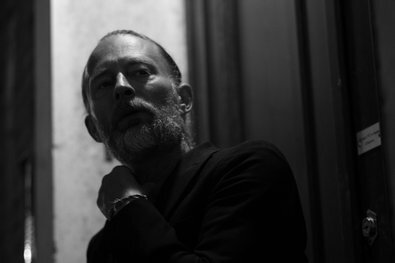 In February 2019 Laurie Anderson and a number of musician friends have been illuminating some aspects of her art at the »Reflector« festival, a format where performers are given the liberty to use the Elbphilharmonie as they think fit. It's a feature of Anderson's art that every statement made in the first person is taken as the autobiographical truth without further examination. Yet at the same time, all really private details seem to have been eliminated from what she says. Anderson (b. 1947) has dissected and prepared the significant fragments of her own biography for so long that the result is a work of art with the utmost similarity to real life: a story. She has been fascinated by stories since childhood. Starting with stories from the Bible that she heard in church, she stored, wrote down, examined, sounded out, condensed and processed whatever language she heard or read. In narrating and writing she discovered her own language – and her voice. I'm curious about the world like a kid who wants to find out how it works. You can sometimes be quite lonely as a human. You can get lost and your vision can be completely restricted. I try to ask questions: why do you do that? What's this? And the answers that I find apply only for one day. What I least want is to work like a machine. The picture many people have of this charismatic stage artist with the bluer-than-blue eyes and the tousled pineapple hair is that of a musician illuminated by her own violin playing. Her many fans see her as a graceful dancer to music unheard of at the time that lies somewhere between punk, New Wave and art rock; as a visionary genie out of the 80s bottle – a bottle from which the sweet poison of the digital future also escaped, fresh and full of promise, that has since invaded everyone's lives. Laurie Anderson also paints and draws, she makes films and is a concept artist. Primarily though, she is a text maniac, a story centrifuge, the gently ironic Cassandra of Manhattan. 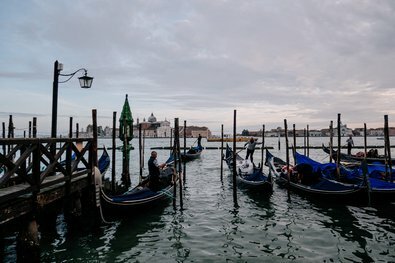 She is a whisperer, fortune-teller and seductress to whose hypnotic Sprechgesang we lend our ears, disconcerted yet spellbound – much like passengers on the world's pleasure steamer as it inexorably speeds up to the point where it will finally sink. 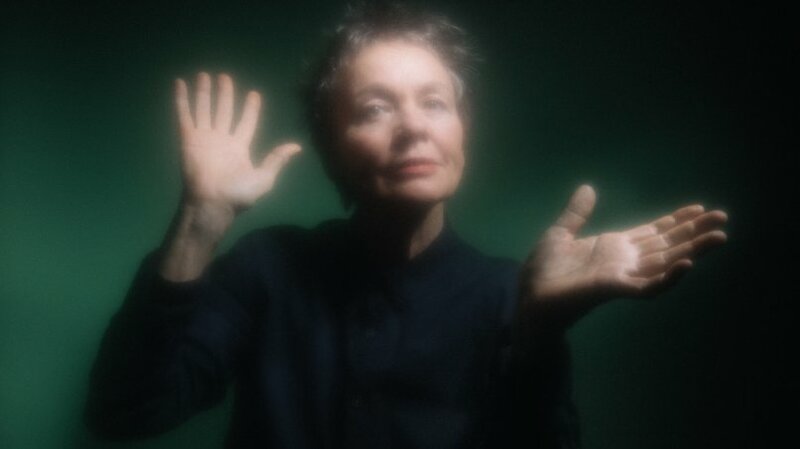 Laurie Anderson made use of advanced technologies in her art from early on; she invented new instruments, and always understood the boundaries of the feasible as an invitation to leave these behind her. As a tech geek she was often more than one step ahead of her male colleagues. And she possesses a thoroughly alert and critical mind. But what makes her art so precious and unique is her radical compassion. 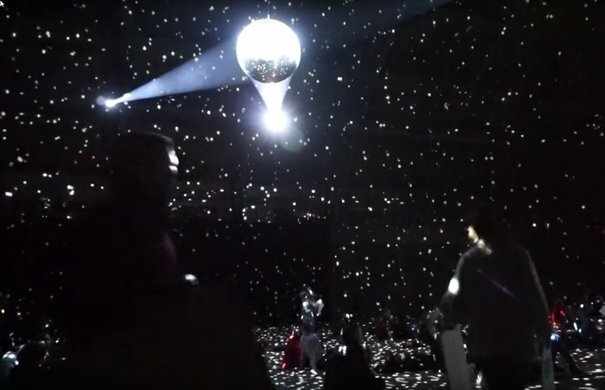 For her 2015 performance »Habeas Corpus« for example, which she put on in New York's Park Avenue Armory, Anderson ignored substantial opposition and interfered explicitly in one of American's particularly shameful political scandals. Described as an »installation with sculpture, audio and live streaming video«, »Habeas Corpus« is an extravagant, yet credible and humble attempt to rehabilitate one of the prisoners held outside US territory at Guantánamo, who have been robbed of all their rights. 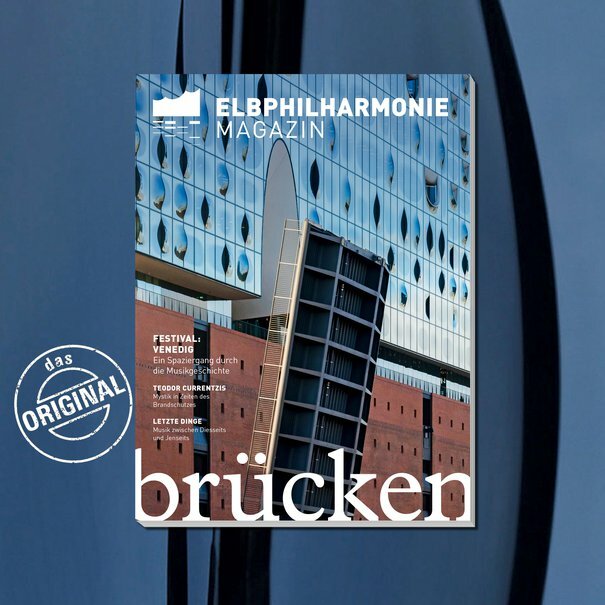 You can read the complete article about Laurie Anderson in the latest issue (»brücken« – Bridges) of the Elbphilharmonie Magazine (German only). Click here to purchase the latest issue online. I instigate, I provoke. I challenge. I have nothing to say or teach.